Hiking can put a lot of stress on your feet. Between the distances covered on uneven terrain, and the presence of bugs, your feet and legs can become susceptible to abrasions, insect bites, blisters, and a host of other issues. One way to minimize the discomfort that hiking can cause your feet is to wear proper hiking socks. The type of hiking you plan to do and the season will greatly influence the type of hiking sock you need. Fast packing will likely require a thin sock that is moisture wicking to prevent your feet from blistering in the presence of moisture. On the other hand, a hike in cold-weather environments require thick materials for better insulation. Sock length. 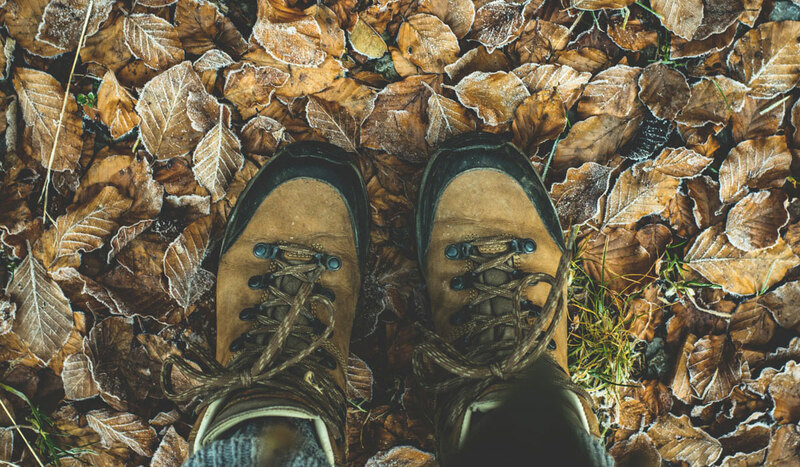 Even though you may be wearing hiking boots and long pants, you need to wear socks with adequate length. This is especially true if you’re hiking in the wilderness, as you will be susceptible to ticks. By wearing a longer sock, you can tuck you pant legs into the sock to keep ticks from crawling up your pant legs or into your socks. Sock length also protects you against the friction between your foot and your hiking boots or shoes. In order to prevent painful chafing of the heel/Achilles tendon area, you should wear socks that are crew length or longer whenever you’re hiking. Strong elasticity. Being able to tuck your pants into your socks also requires a hiking sock with high-quality elastic. You want the socks to stay up throughout your hiking movements without slipping down to your ankles. Ill-fitting socks leave you vulnerable to abrasions from your shoes, as well as to ticks and other insect bites. Reinforcement. Hiking socks should be made from reinforced yarn construction. Like with the aforementioned attributes, you need a strong material to protect against friction from your boots. For added comfort, look for socks with seamless toe seams. This will eliminate any potential edges that could chafe above the toes. Most hiking socks are made from a blend of fabrics that create comfort, warmth and moisture control. The most common materials are wool, polyester, nylon, and spandex. Cushioning. If you’ll be putting a lot of miles on your socks during a typical hike, consider socks with cushioning on the sole in order to minimize impact. This is especially suggested for winter hiking socks and where the sole of your socks are on the thinner side. However, consider that if your shoes become too tight from the extra cushioning, it’s going to make for an uncomfortable hike. Also, wearing bulky socks in the summer may cause excess sweating, which may lead to blisters.